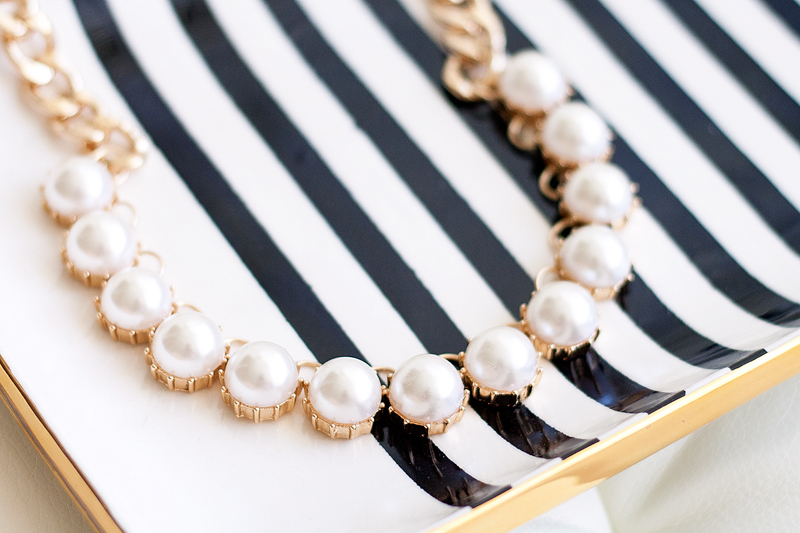 Pearl is the most coveted jewelry/accessory this season and it is definitely here to stay! 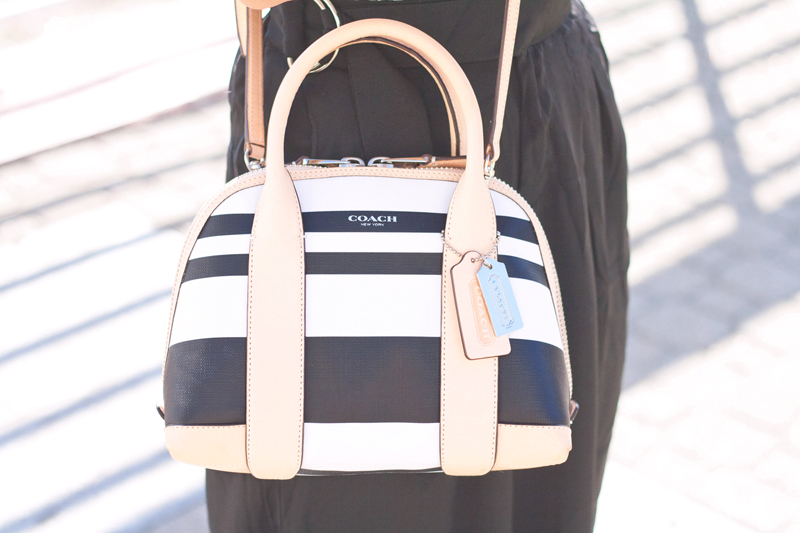 This classic beauty is perfect all year round whether you are going out to brunch or having a fancy night out! 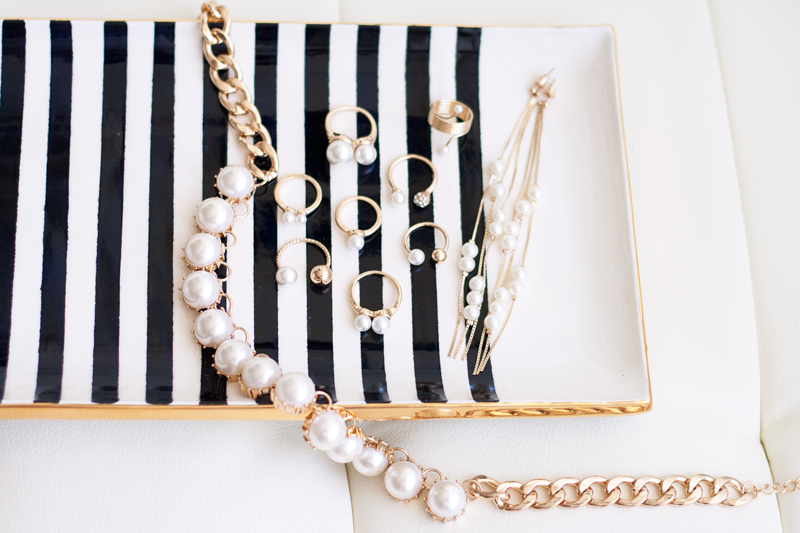 Check out how I style some stunning pearl jewelry from Forever 21 over on the F21 Blog. 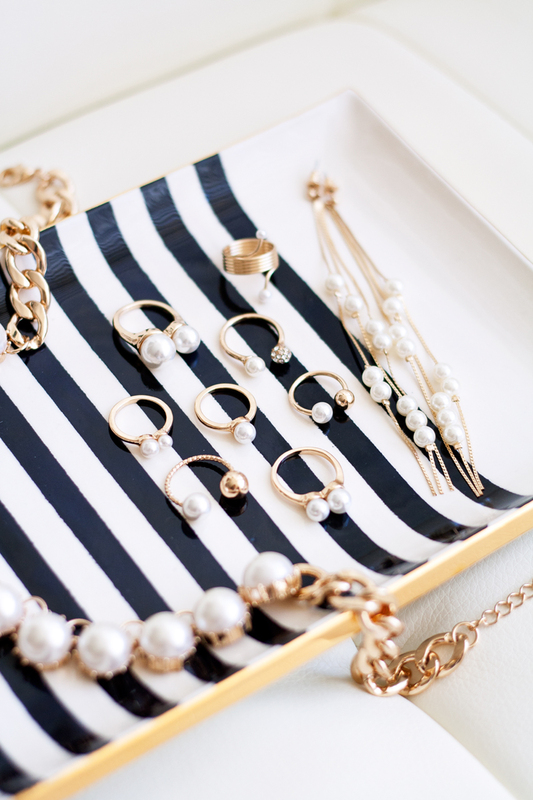 Don't they look especially chic on my lovely striped tray from Jill Rosenwald? Pearl & rhinestone ring c/o F21. 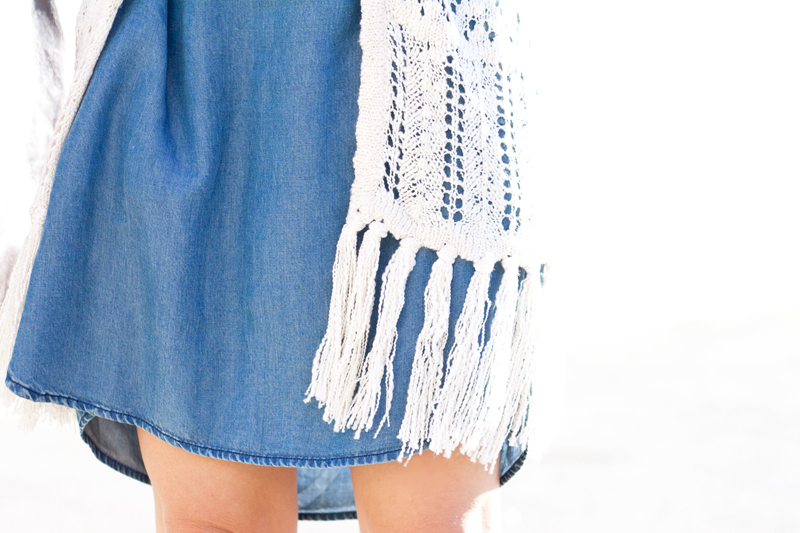 Wrapped pearl midi ring c/o F21. Pearl open ring set c/o F21. Pearl midi ring set c/o F21. Bulky pearl necklace c/o F21. 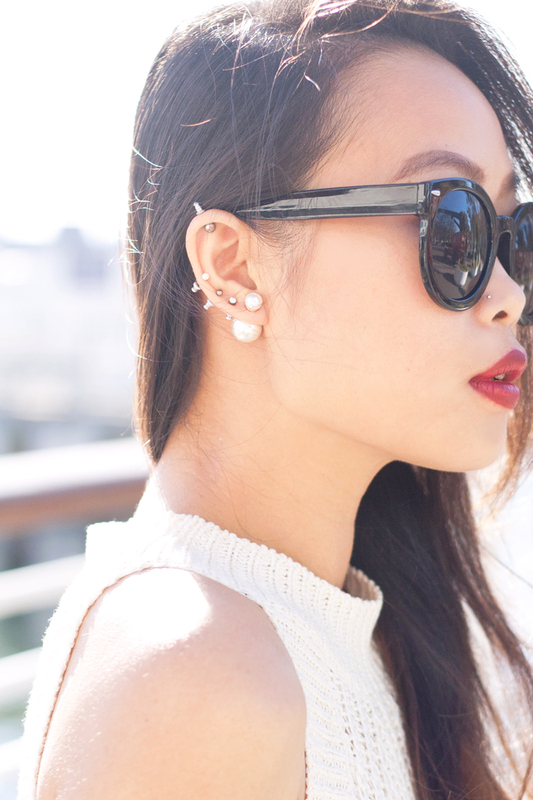 Pearl & chain drop earrings c/o F21. 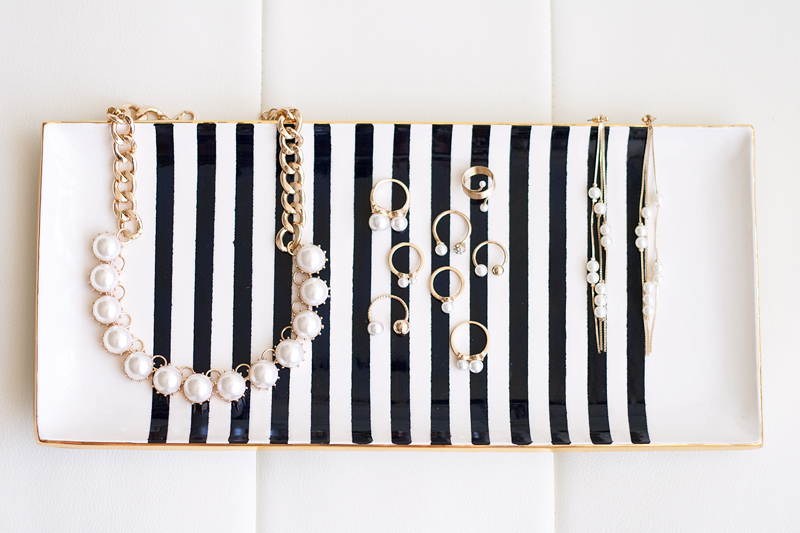 Striped tray c/o Jill Rosenwald. 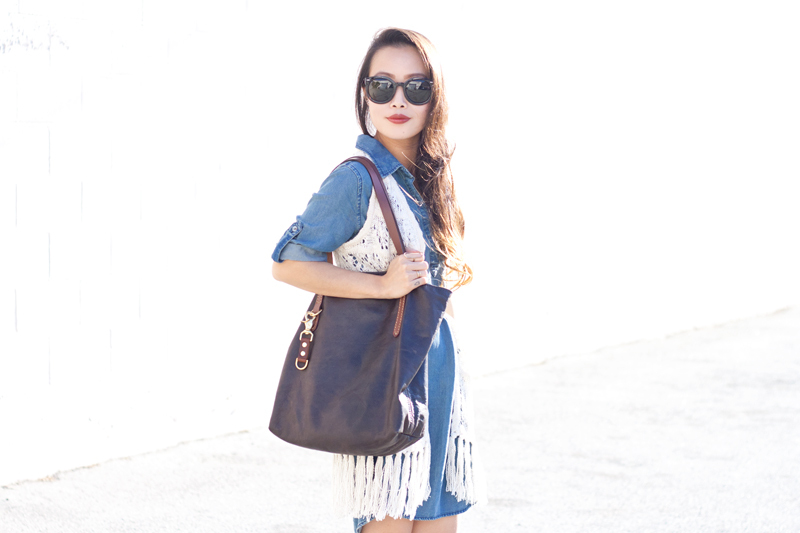 Last week I showed you a transitioning look, today I am all about layering. 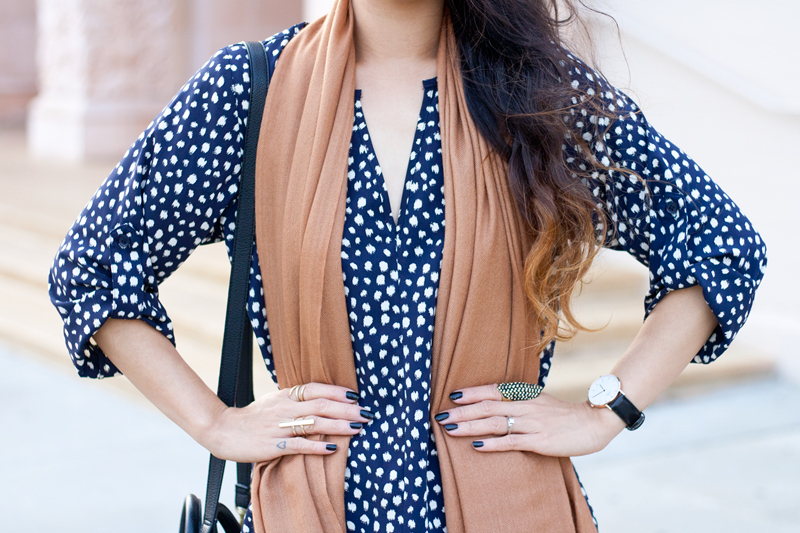 Fall is the perfect time to layer up some of your favorite pieces to create looks that are functional yet interesting. 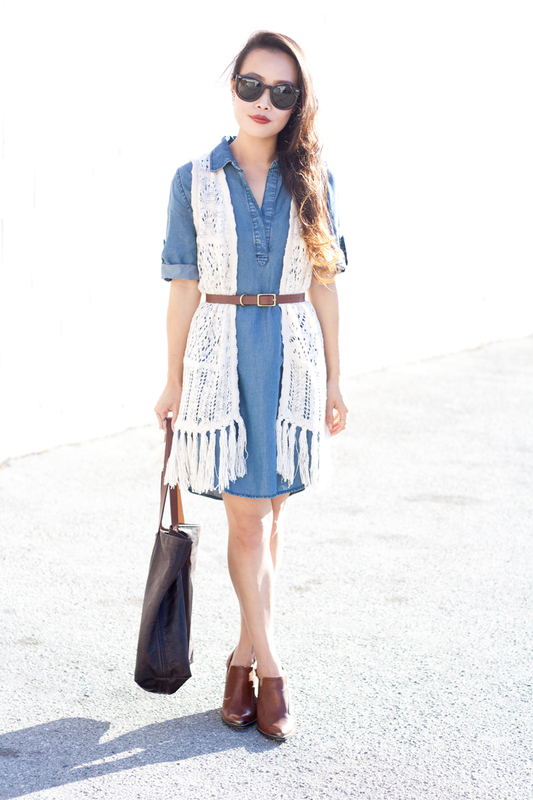 This chambray shirt dress from Lily and Violet makes a great canvas. 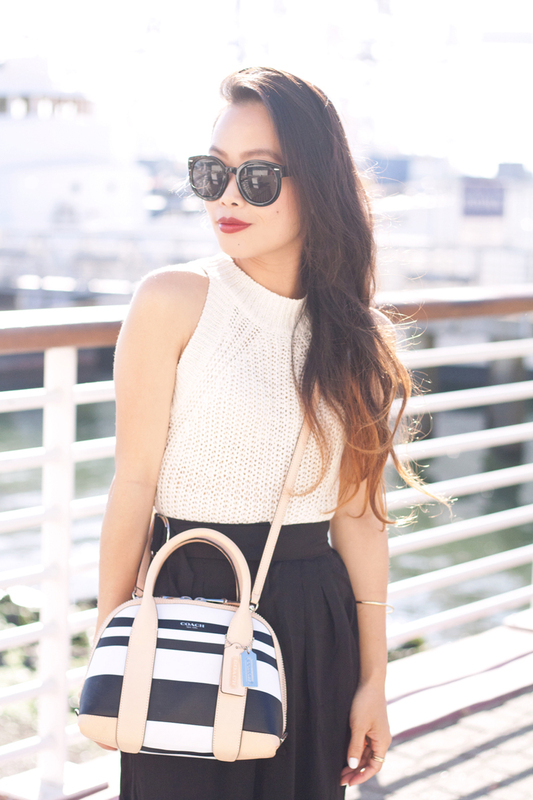 I debated between layering a cream turtleneck (which is totally making a comeback by the way) underneath, a striped long sleeves underneath, or a knit crochet vest on top. The possibility is endless, but alas, the vest won! 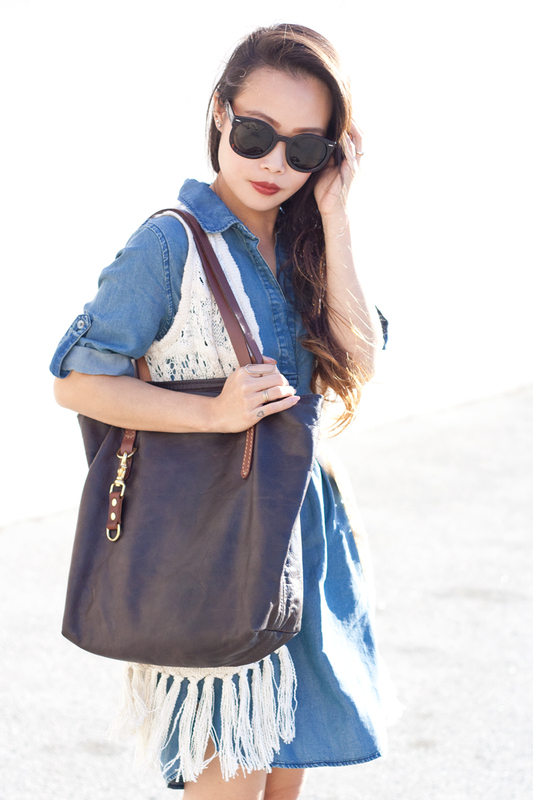 I added a handcrafted leather belt by FOUNT to give it more shape and paired it with a beautiful leather tote also by FOUNT. You know how sometimes you can tell right away if something is well made and will last a long long time? 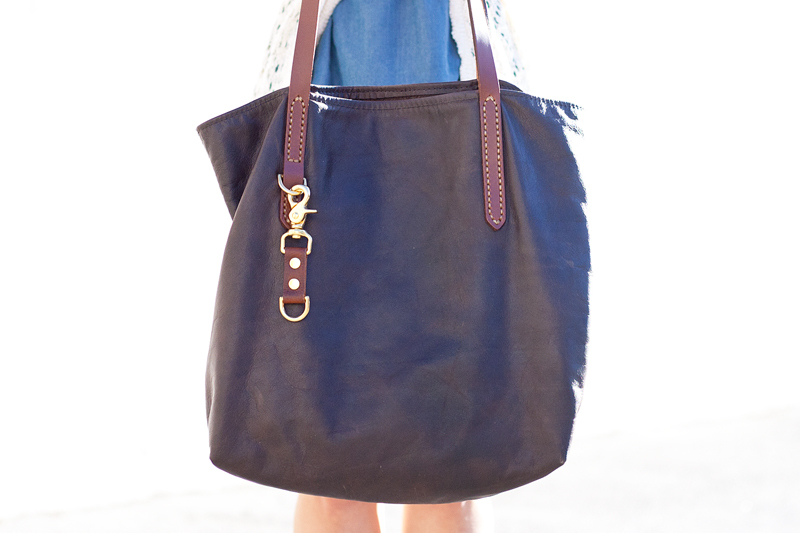 These leather goods are exactly that! 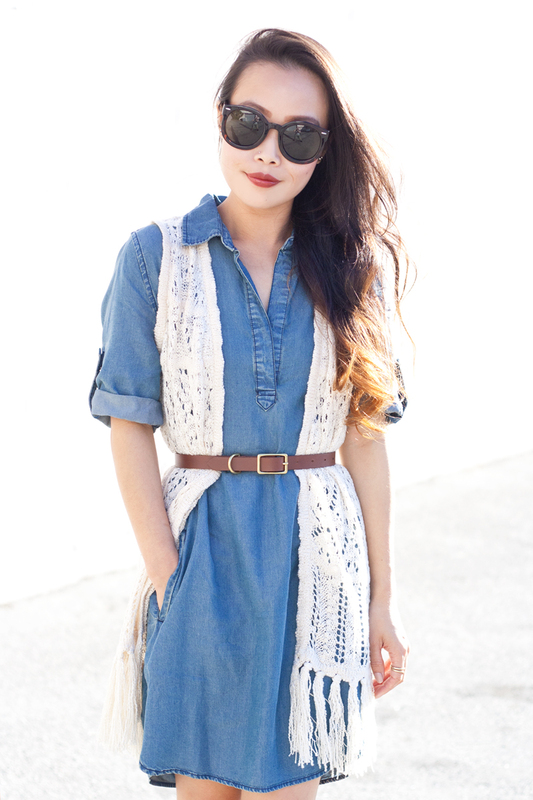 Chambray shirt dress by Velvet Heart c/o Lily and Violet. Knit crochet vest from Marshalls. The Three Quarters leather belt i harvest brown c/o FOUNT. Delicate stack rings c/o Tiffany Kunz. Fall might be here but I haven't completely let go of summer yet. 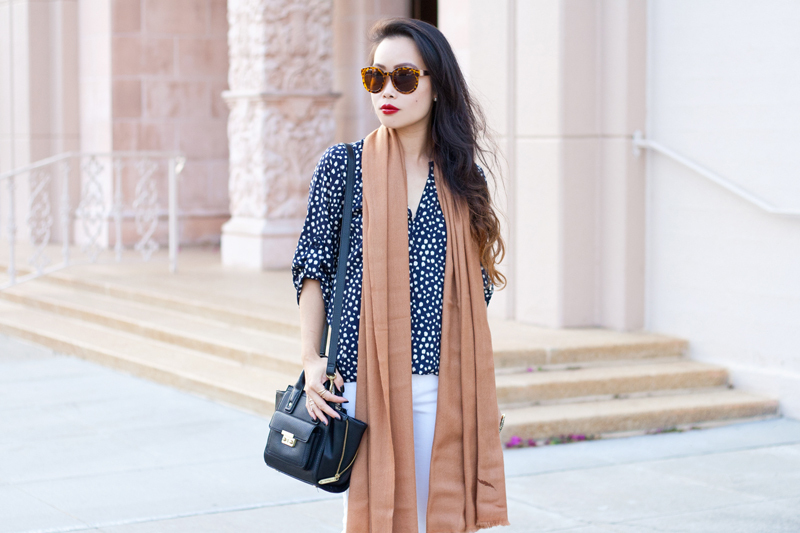 I am excited about scarves but I also want to wear white jeans for a bit longer, hence this outfit! 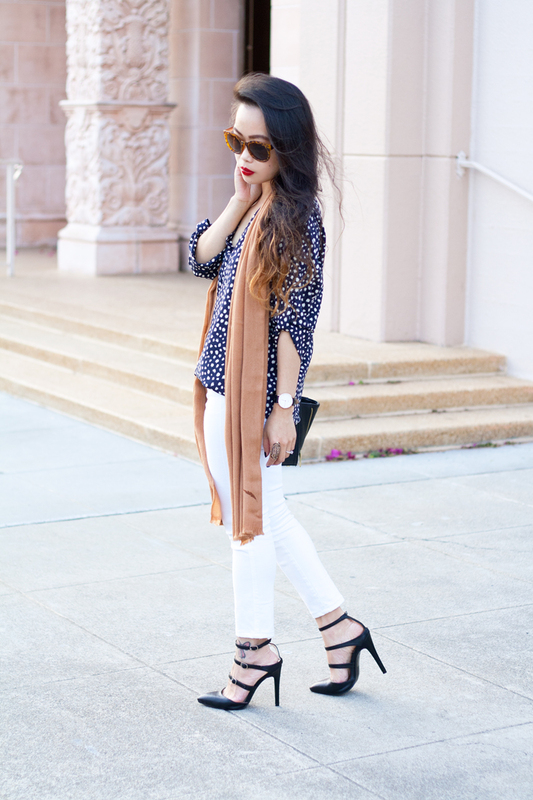 I am wearing a lovely dotted blouse and white McGuire denim paired with a classic cashmere scarf. You have probably also noticed that I have been wearing my Classic Sheffield Lady watch by Daniel Wellington quite a lot lately. It is the perfect accessory and from now thru October 15th, you can receive 15% off anything on www.danielwellington.com using my code "itsnotheritsme". Do yourself a favor and get an amazing watch! 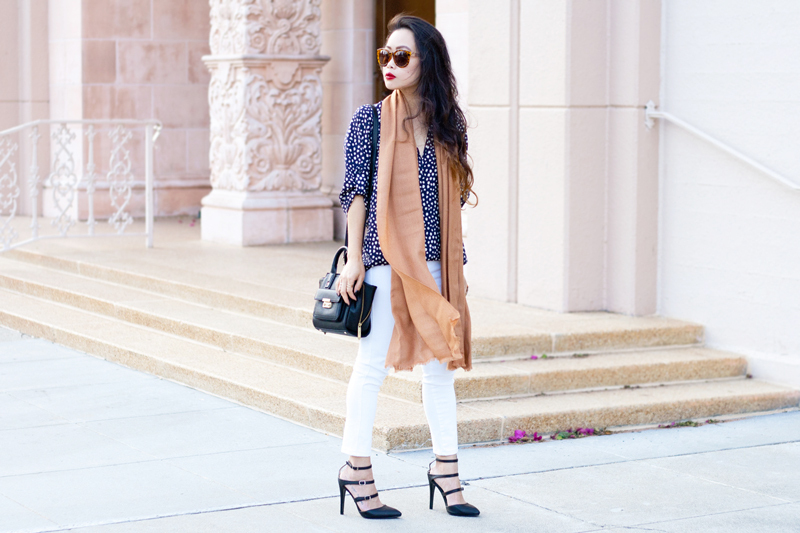 Gabrielle printed blouse c/o No Rest for Bridget. You can never have too many little black dresses! 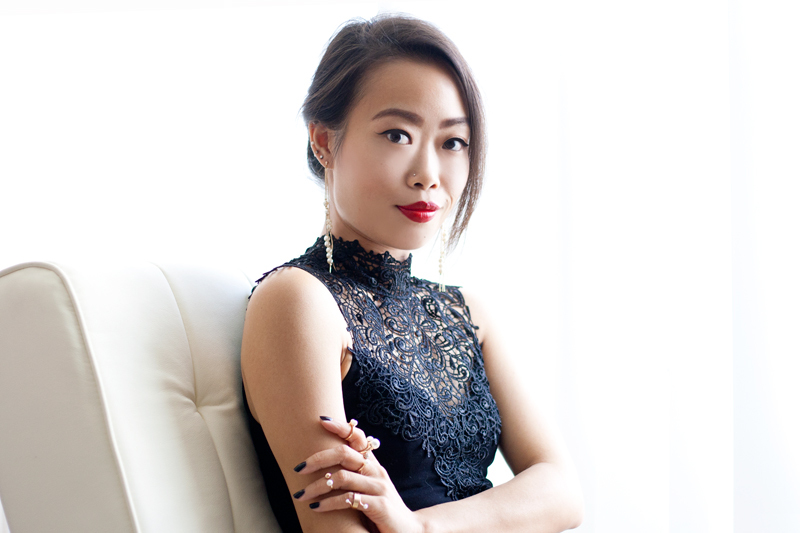 They are classic, elegant, and perfect for any occasions. This Dancer Dress by Gentle Fawn is definitely my favorite LBD as of late. 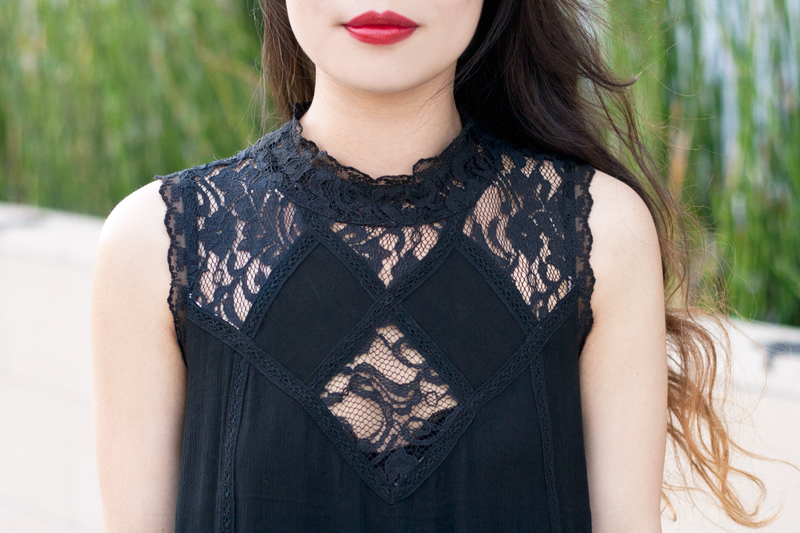 I love its babydoll silhouette (I've never been a fan of anything too fitted anyways), the lace details, and especially the high neckline. It can simply do no wrong! 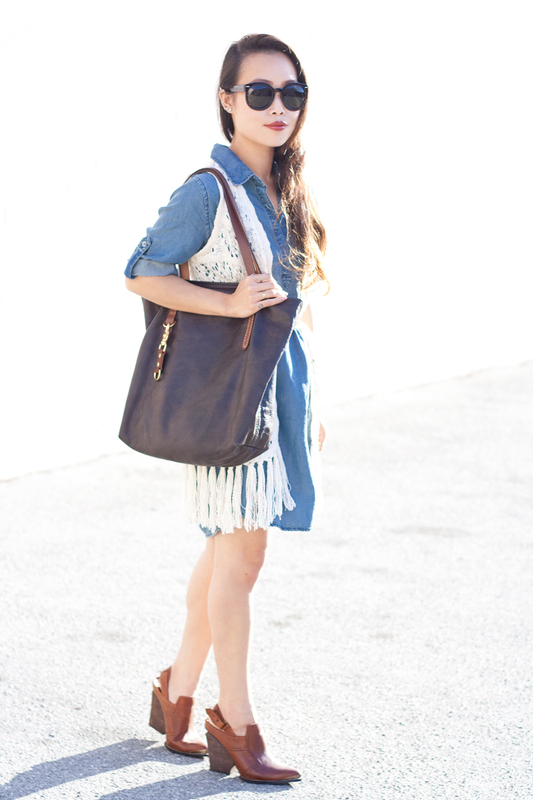 I paired it with my new zippered leather booties from Sole Society that are super sleek and comfortable! 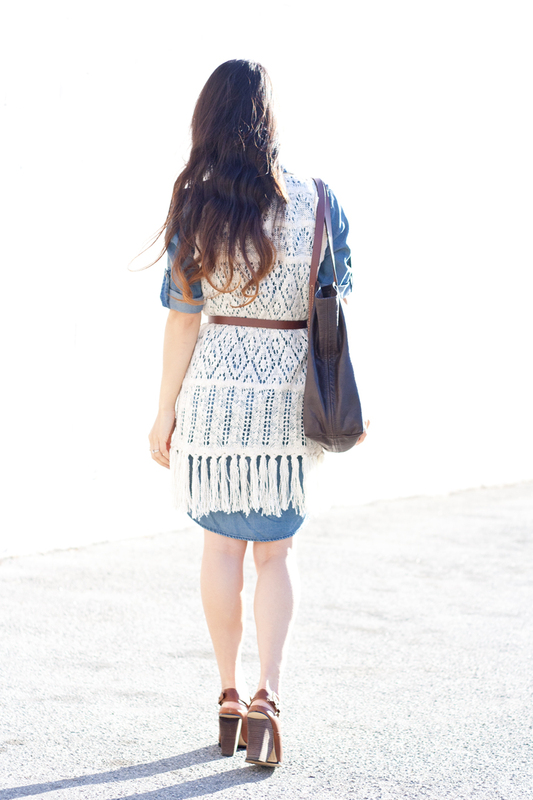 Dancer Dress c/o Gentle Fawn. 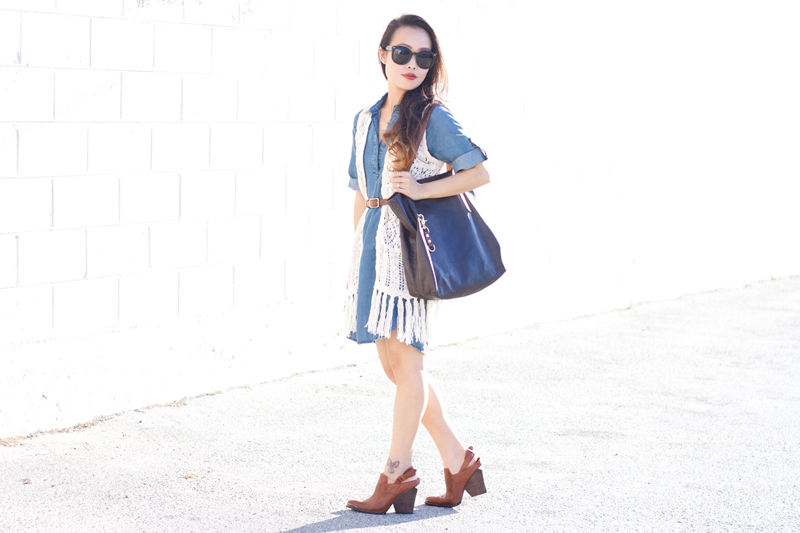 Chelsa zippered leather booties c/o Sole Society. 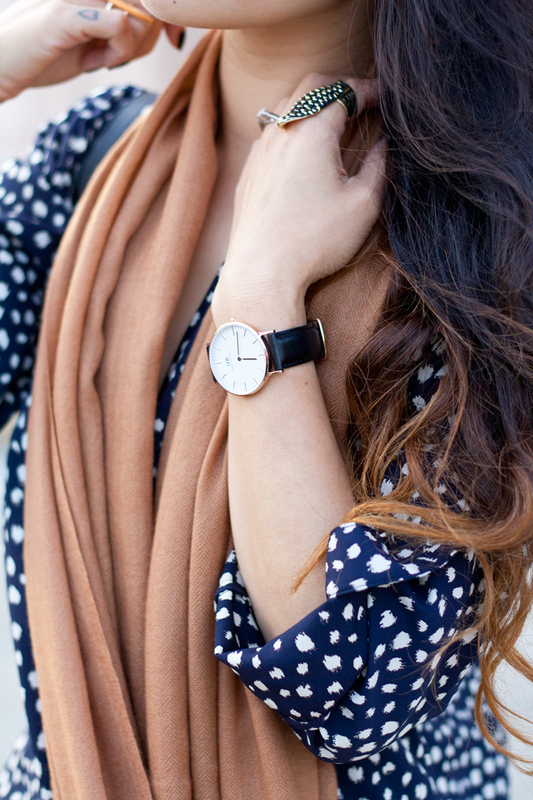 Classis Sheffield Lady watch c/o Daniel Wellington.